If you or a loved one has Diagnosed Mesothelioma or lung cancer, asbestos cash settlements may be available for you. Let’s walk you through the steps of how to find out. 1. The two most common types of cancer related to asbestos exposure are lung cancer and mesothelioma, which is a rare form of lung cancer. Tens of billions of dollars have been set aside to pay asbestos victims and their families for the suffering caused by asbestos exposure. 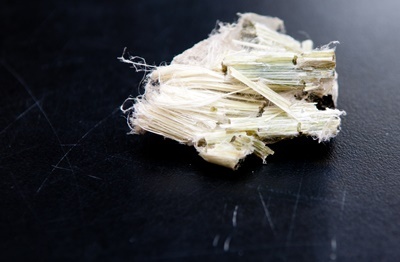 You may be eligible for cash settlements if we can prove you ever worked around asbestos. Step one then is to call us here in Birmingham at 1-800-291-0050. You pay nothing for any work we do. In fact, we only collect money if we win cash settlements for you. Truly, there is nothing for you to lose. 2. When you speak to one of our representatives, he or she will ask about your work history. (If you are calling on behalf of a loved one who is living or who has passed away, you will be asked about the victim’s work history.) Asbestos was widely used for much of the 20th Century in thousands of work places, factories, and industrial sites. We will do all of the work to find whether asbestos might have been present at any of your former jobs. You simply provide the company names and dates where you worked. We never take legal action against a current or former employer. 3. We also may need to see a copy of your medical records. This information will help us determine what type of cash settlements we can pursue for you. There are two important things to remember: We are on your side. We will represent you and your family with honesty and integrity. And you will pay absolutely nothing for the work we do. We will never ask you for a credit card number, a check, or any form of payment whatsoever. Three easy steps. Take the first one by calling us in our Birmingham office now. You could be entitled to large cash settlements. Call 1-800-291-0050.